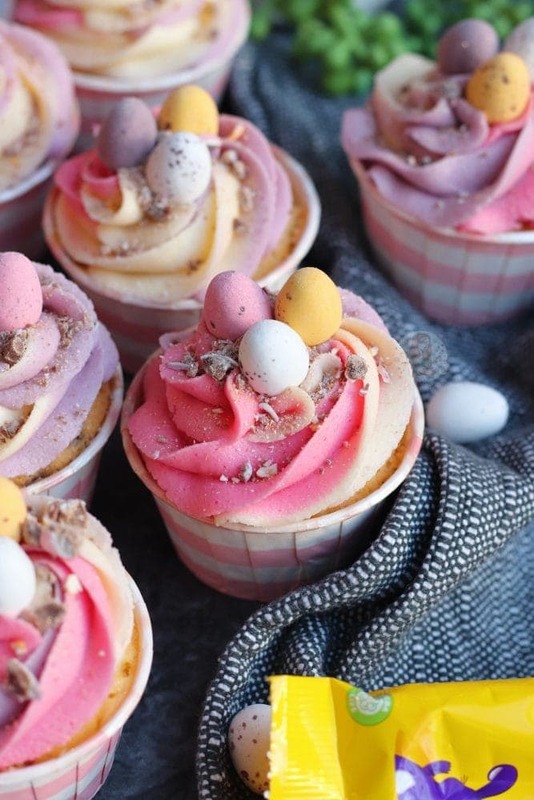 Vanilla Cupcakes, Hidden Mini Eggs, Vanilla Pastel Frosting, and even more Mini Eggs! 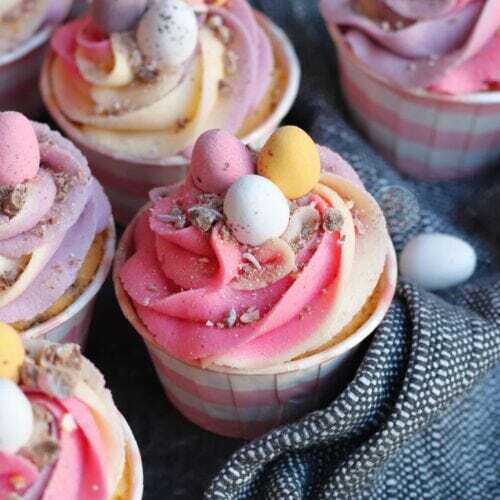 Perfect Mini Egg Cupcakes! 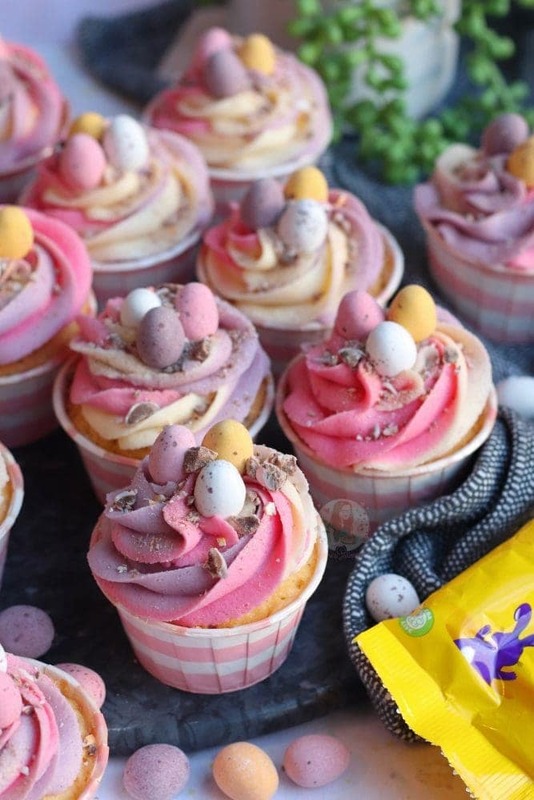 So, peak Easter Baking Season… and I post these. 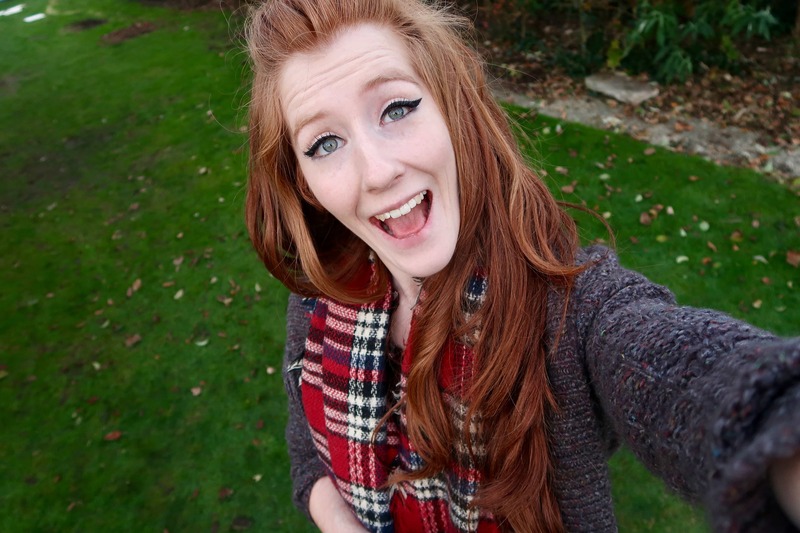 I know, I know… I’m messing with the system by posting such a corker now, but its MINI EGG SEASON STILL! 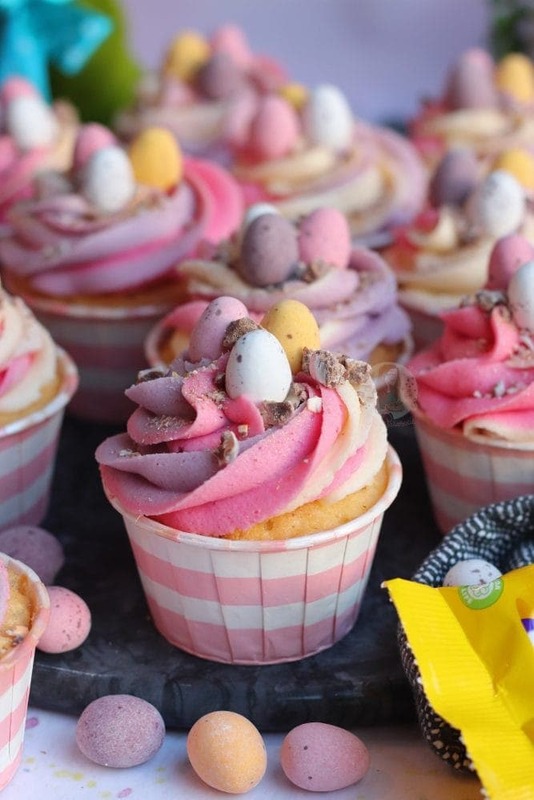 I realise, Easter isn’t actually about chocolate, so don’t have a freakout… but when you’re a baking blogger, Easter is one of the busiest and best times of the year! 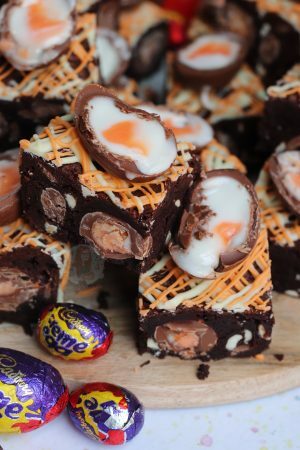 Anyway… I realise I have posted many a Mini Egg recipe since starting my blog, including quite a few this year alone, but I just can’t resist more. 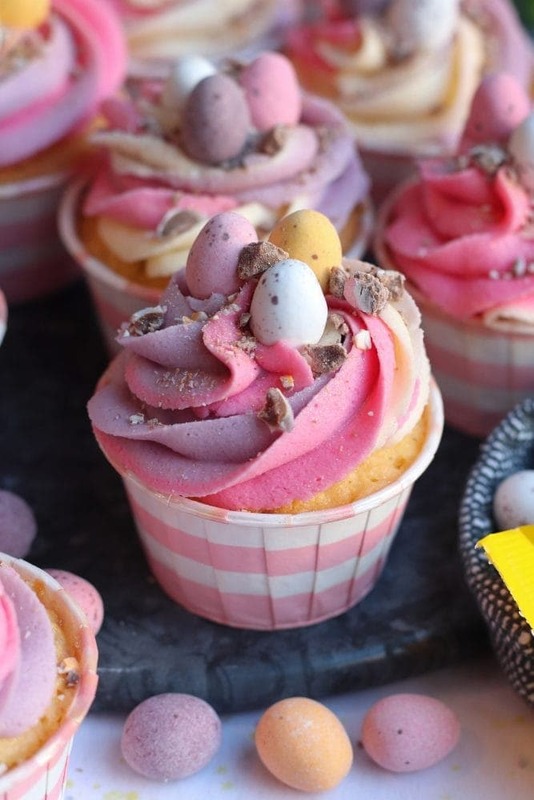 Mini Egg Cupcakes?! How have I not posted these any sooner?! Honestly, I question my sanity so much because these are delightful. 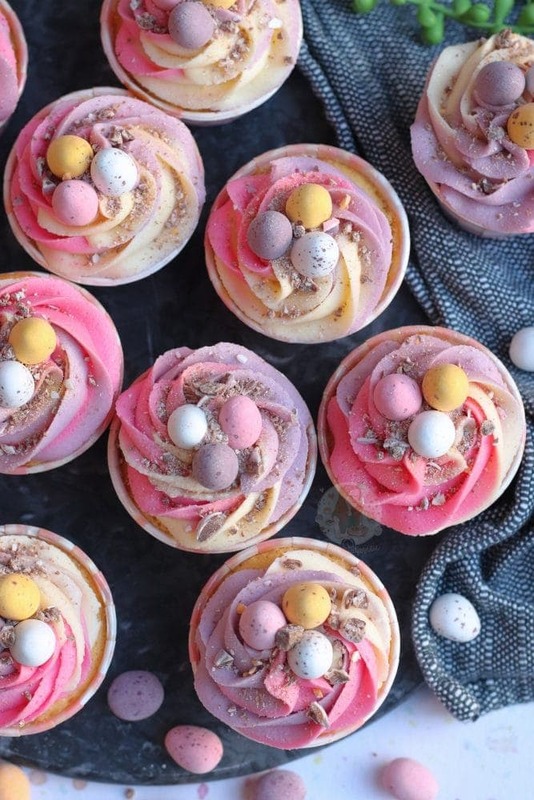 I don’t know about you, but as much as I adore Christmas themed baking, Easter themed baking is just so damn pretty. Pastel colours and all the different chocolates are just the BEST. Just LOOK at these cupcakes! They are so pretty, and I am honestly just obsessed. There are several different ways of doing the actual cupcakes. You can have them as they are in the recipe, with a vanilla sponge, crushed Mini Eggs folded through. 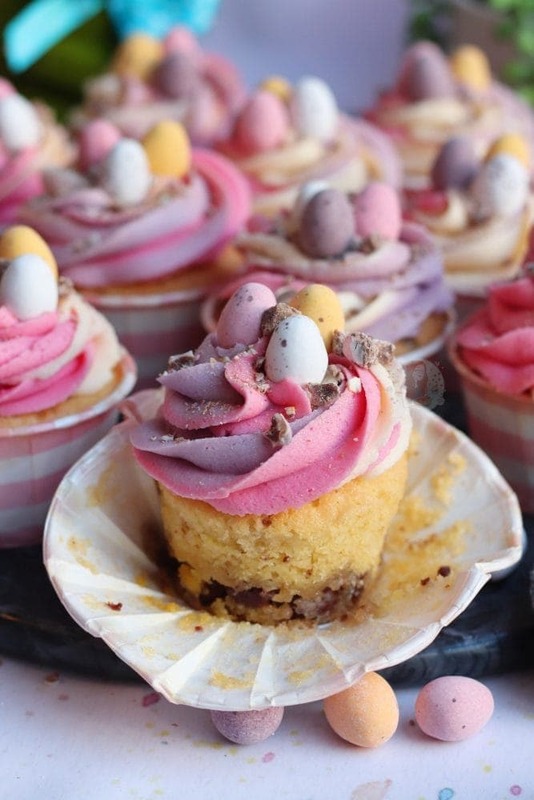 Or, you can hollow out the centre, and have Mini Eggs in the centre of the Cupcakes. Thirdly, you can even make the cupcakes chocolate flavour, by taking our 25g of flour, and adding in 25g of cocoa powder! There are obviously other ways as well, but that’s how I’ve made them! Either way, the cupcakes themselves are utterly delicious, but the theme is really carried by the pastel buttercream swirls on top. Now, I realise that there are four colours of Mini Eggs, but… getting a white colour in the buttercream is really quite hard. 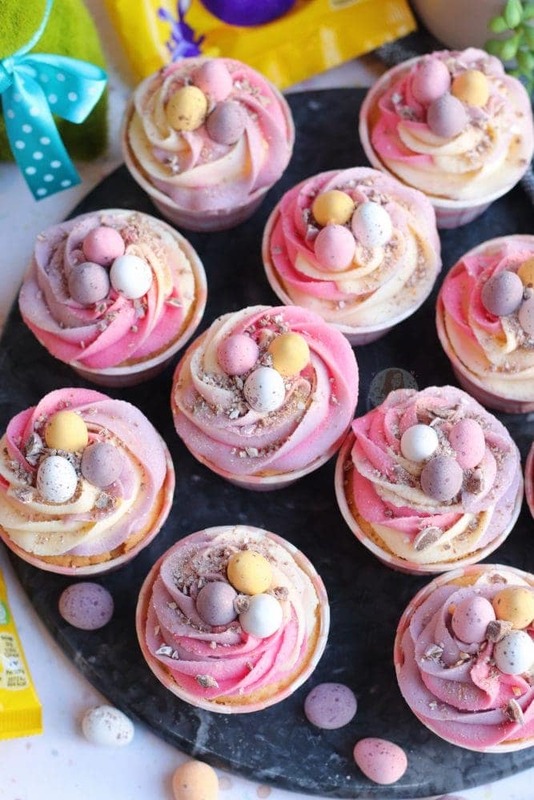 If you stick to the ideas of Purple, Pink and Yellow, then you have a beautiful pastel swirl effect on the top of the Cupcakes, and it just looks so perfect for Easter! Everything pastel is beautiful anyway, but it’s ideal at Easter time. The colours I recommend for these bakes are all Rainbow Dust Food Colourings. They are my personal favourites because the pigmentation is so strong, and you need so little to colour your food. The Purple Food Colour is my personal favourite as I don’t often use it – but the pink food colouring is a close second in being a favourite. For my Cupcake cases, I now ALWAYS use Iced Jems Baking Cups. They are a bloody wonderful invention, and they just look so darn pretty! You don’t have to use a muffin tray, which means I don’t have to spend half my life trying to fit my muffin tray back into my cupboard after baking, but you use just a regular flat baking tray instead! They come in all sorts of colours, and when you open them out they basically become a little plate too. I am slightly biased as I have been lucky enough to be sent some of them in the past by Jemma, but the number of times I have restocked the cupboard and had to buy more and more of them! Preheat your oven to 180C/160C Fan, and get your cupcake cases ready! Add in your Flour, Vanilla and Eggs, and beat till smooth and delicious! Crush your 200g of Mini Eggs, and fold through the mixture! Split evenly between the cupcake cases, and bake in your oven for 18-22 minutes! Once baked, leave your cupcakes to cool fully before decorating. Make sure your Butter is at room temperature! Beat the Butter on its own, for a few minutes to really loosen it and make it supple! Add in the Vanilla Extract, and the Icing Sugar, and beat till smooth and delicious. Split the Buttercream evenly between three bowls, and colour to a pastel purple, pink and leave the third as it is for a yellow colour! Add your three colours of buttercream to a large piping bag, with a 2D Closed Star Piping tip on! 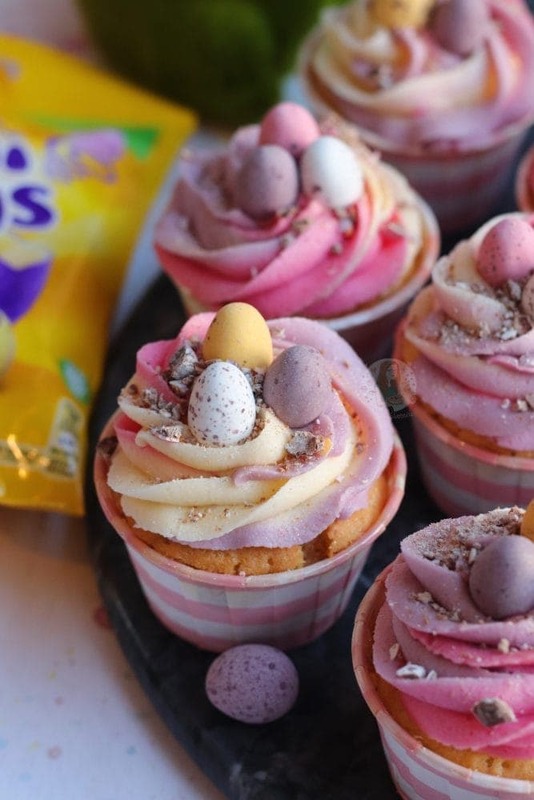 Pipe in swirls on top of the cupcakes, and sprinkle on some Crushed Mini Eggs, and some sprinkles if you fancy! I find it easier to use three small piping bags, and add them into a large piping bag. However, you can just smush it in one and hope for the best! 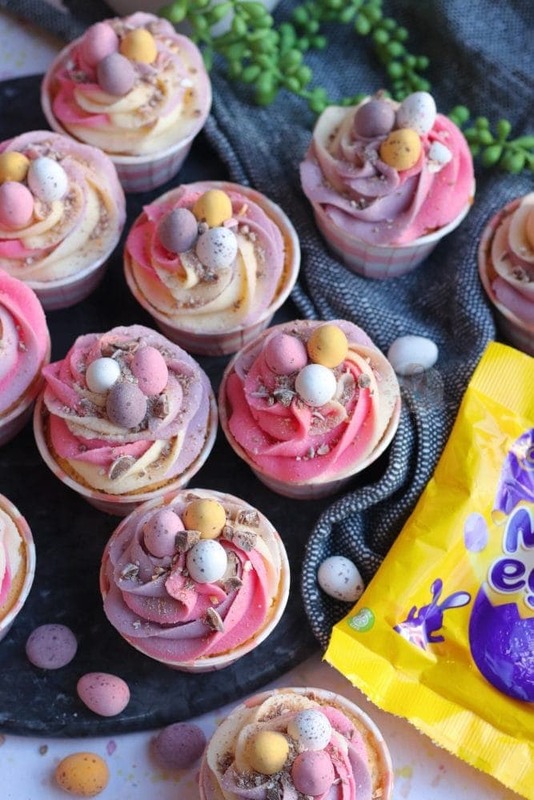 I used about 300-350g of Mini Eggs for these, but you can use more or less! 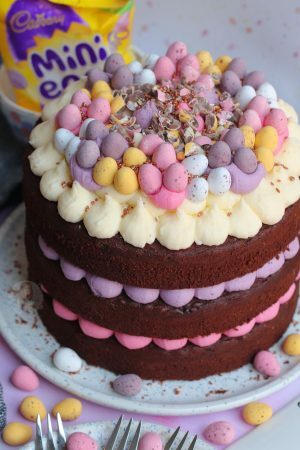 You can leave the Mini Eggs out of the sponges if you prefer - or even hollow out the middle and add some in after baking! Older Next post: Easter Tiffin! Newer Previous post: Creme Egg Millionaires Shortbread! These sound delicious! One question though – how do you crush your mini eggs? I have never noticed this while eating them, but they are darn hard to break! I can do them with a knife if I’m careful, but that just takes forever. Do you have a quick method? I either use the side of a knife and crush, or a pestle and mortar! Thank you ….would placing them on top of each muffin case work better? You could give it a go! 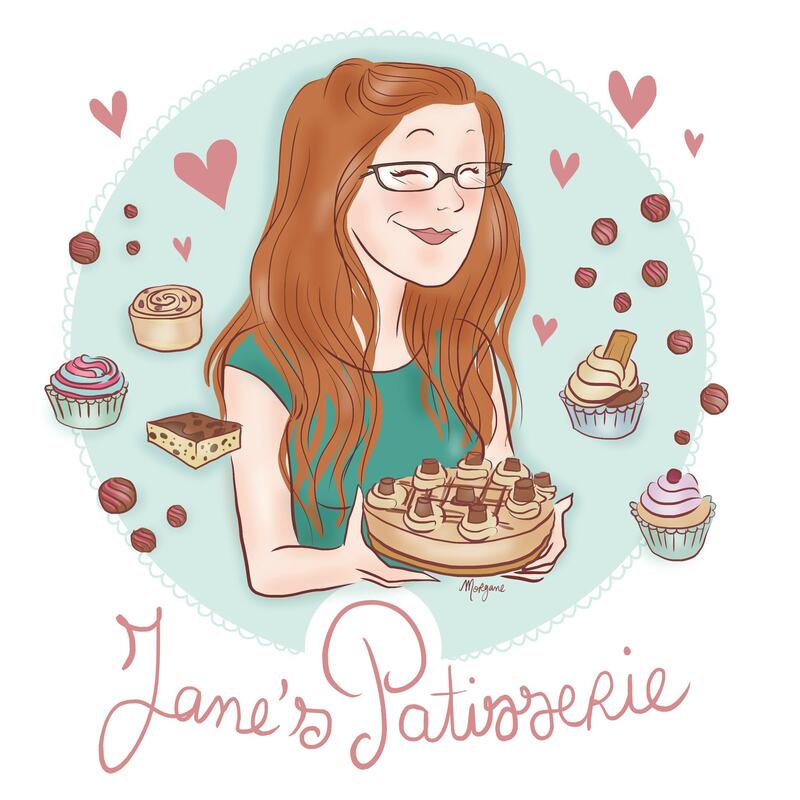 Love your bakes Jane and miss your blogs! 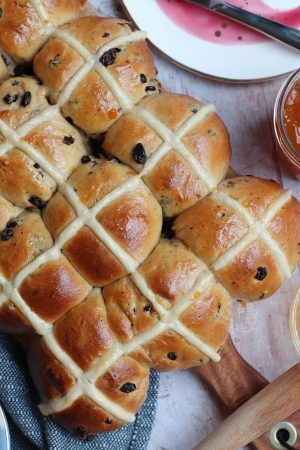 Will give this a try if i could, as i will make the one “bird nest” from your previous year’s Easter recipe 🙂 thanks for your lovely blog!